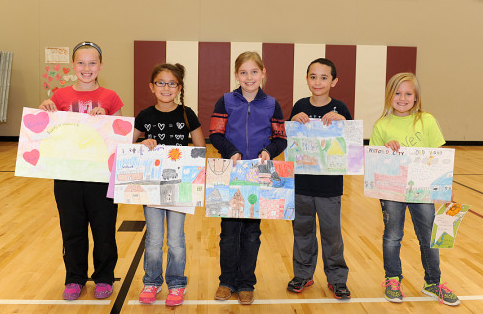 “Voices of Watford City” hosted a writing and drawing contest for the students at Watford City Elementary School. 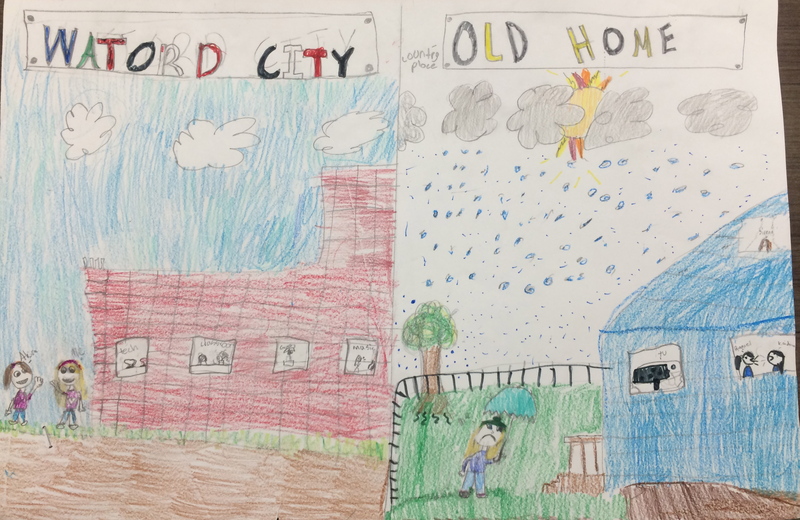 We wanted to hear and see how living in a growing and changing town has impacted the lives of the kids who learn and play here. 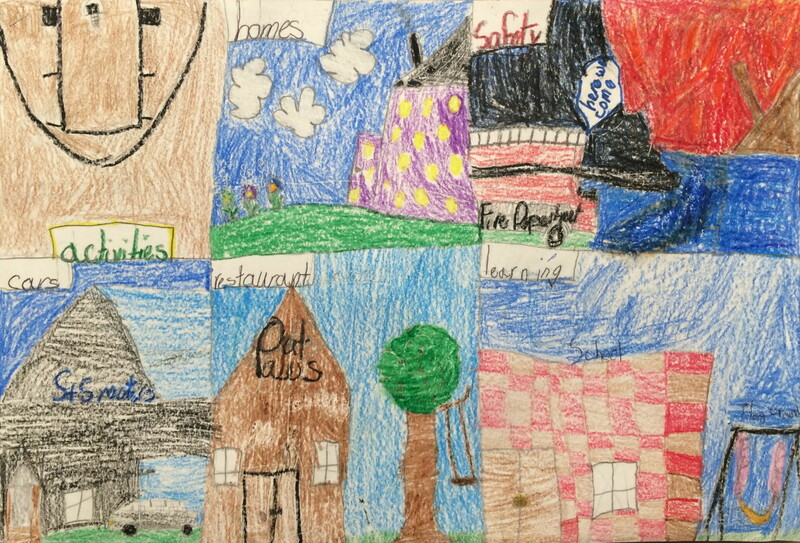 There’s so much we can learn about our community from the children. 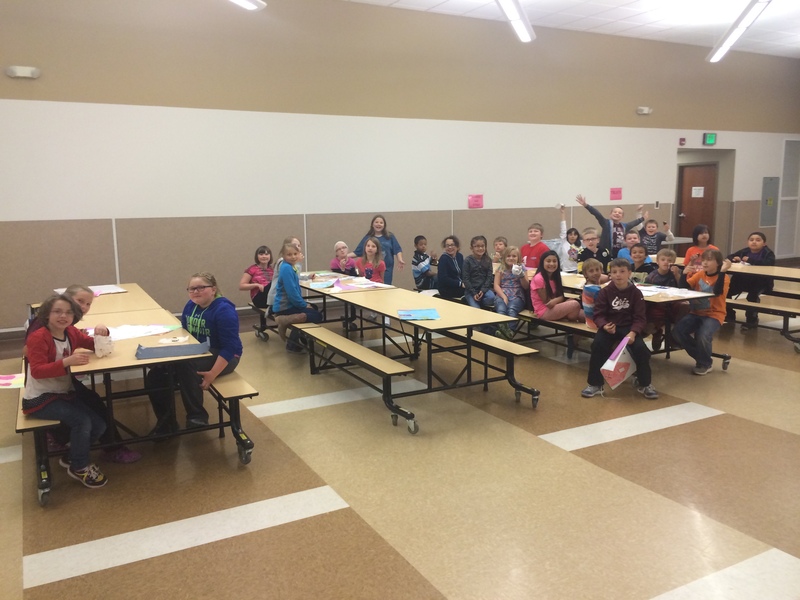 5th grade students participated in the writing contest and 3rd grade students participated in the drawing contest. Both classes were asked to reflect on the same question. 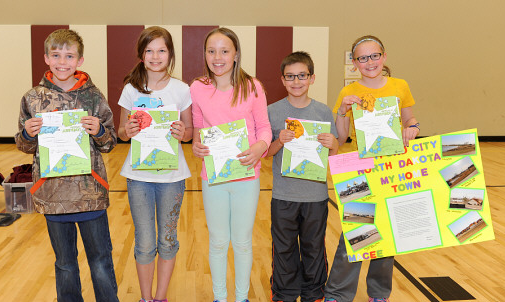 The first place winners in both grades won a $10 Gift Card donated by Six Shooters Showhall Movie Theater. 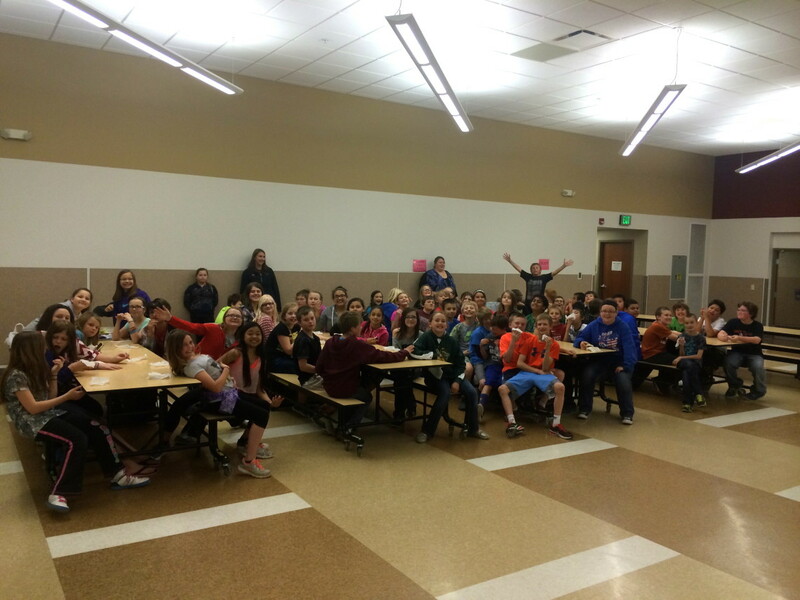 The 2nd, 3rd, 4th and 5th place finishers received $5 gift cards to Larsen’s Soda Shop. All participants were treated to an ice cream party last Friday to show our appreciation for helping to tell the story of Watford City to help other families learn about their potential home. 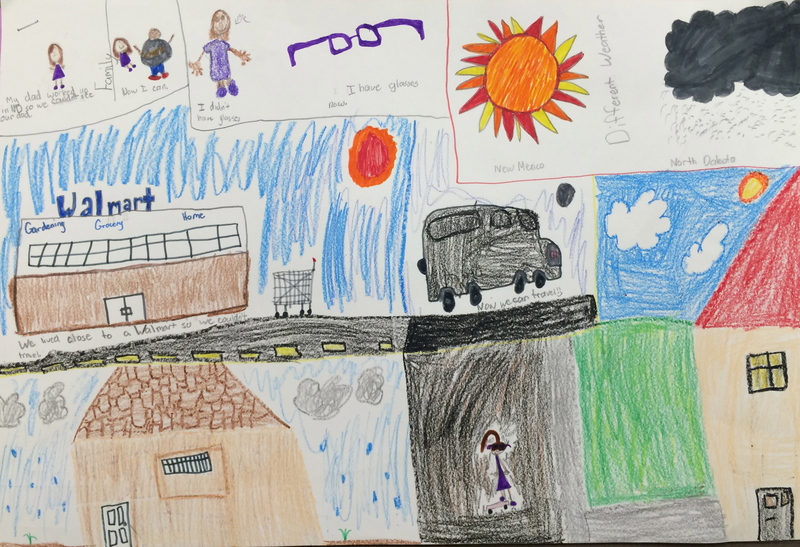 You’re going to fall in love with these resilient and brilliant children, some who have moved from across oceans and tackled language barriers and some who have watched their small town change right before their eyes. But no matter their differences, they all seemed to have one common thread in their stories. They all call Watford City their home. When people ask me what I think of Watford City, I think of friendship. And what I mean when I say that is love. I mean when my mom was sick people cared they didn’t ignore it. People made us food, talked to us and prayed for her. We had people help her at church. You might say it’s not a good place but please the souls are what matter. And for me I had 2 friends in Big Fork. But even them never did what half of what people do out hear. We don’t say I, we say us. And no one is alone. I have over 60 friends out hear and they spend time with me. The spirits out hear are filled with LOVE, and everyone of you are to. Living in Watford City means a-lot of different things to me. I love Watford City! I like the beautiful landscape. I’ve never saw such a beautiful landscape. The people are nice, kind, and sometimes generous. They also make the best parks to play at. The Historical sites have lots to look at. My teacher, Mrs. Dees is the best teacher ever. In Michigan there was nothing close to the sites here. I love Watford City. This is what it means to me. Living in Watford City means a lot to me. 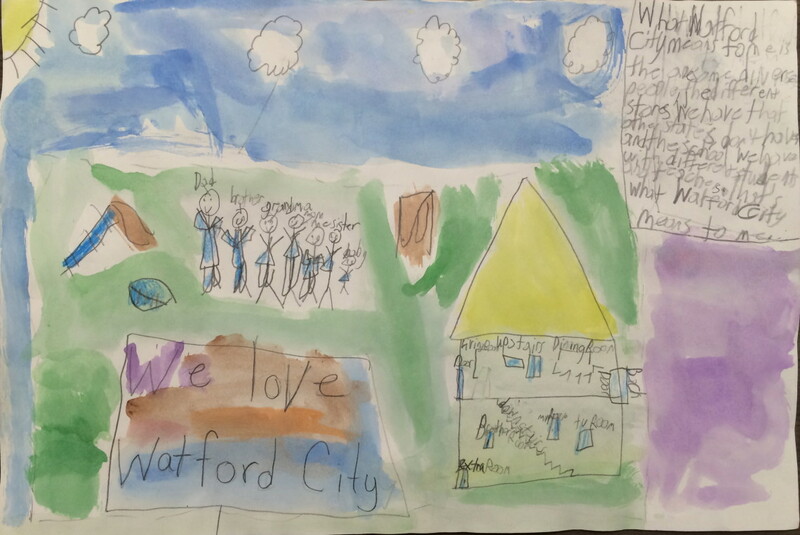 Watford City has changed from small to big lik(e) our elementary school. We also have new changes such as apartments, hotels, and many amazing restaurants. I love the hard work that everybody has done to make this change come true. I especially love the beautiful sunsets. I have mostly lived in Watford City my whole life. I want to stay here in Watford forever and ever. Living in Watford City means more than anything to me. Living in Watford City is different. I was used to warm weather. It’s cold a lot of the time. I was used to dark mornings, and now there’s sunrises. Every morning I wake up to see a beautiful sunrise with it’s vivid colors in the sky. I didn’t know it was great here. My dad got the job, so we afforded a house i(n) May when somebody moved out. Except we didn’t move here until August. But my dad got the job here a year before we moved here. Here in Watford City, there aren’t many trees, but there are many plains. In Watford City there are lots of people. But the best things here are the friends who care. This is what living in Watford City means to me. I love living in Watford City. It’s my home! I have friends and family here. My name is Macee and I am 11 years old and in the 5th Grade. I have lived here my whole life. Here in Watford City you used to know everybody and now you see a lot of new faces. It has grown so much the last couple of years. We now have new stores like Cash Wise, Cenex, and Holiday Gas Station. We also have new restaurants like Subway, Taco Johns, Chinese and Japanese. With all the new people moving here, we have more housing and jobs too. Our city has changed in many ways such as stop lights, taxis, and new streets. The best thing that comes with the oil boom is that I have met many new friends and of course, my awesome teacher. Some of the new people that moved here don’t like it. They think there is nothing to do and that it is very small. It’s small, but not as small as it used to be. There is so much you can do like go swimming in the summer, skating/hockey in the winter, along with a lot of variety of sports throughout the year. We have many parks for families, a fishing pond, track to walk or run on, shopping, or taking a drive through the Badlands. I am so looking forward to what the oil boom still has to bring to Watford City. We will be getting a new School and Activity Center soon. I love living in Watford City. It is my home! Kindness: The people of Watford City are very welcoming and kind. I felt at home right away after moving here. Fun: Watford City is a fun place because there are a lot of sports and parks. There are also a lot of family activities such as the Ribfest. Convenience: I like that Watford City is a small town so I can walk almost everywhere. I can easily get from place to place. Text: Family: My dad worked up in ND so we couldn’t see our dad. Now we can. I didn’t have glasses. I have glasses now. 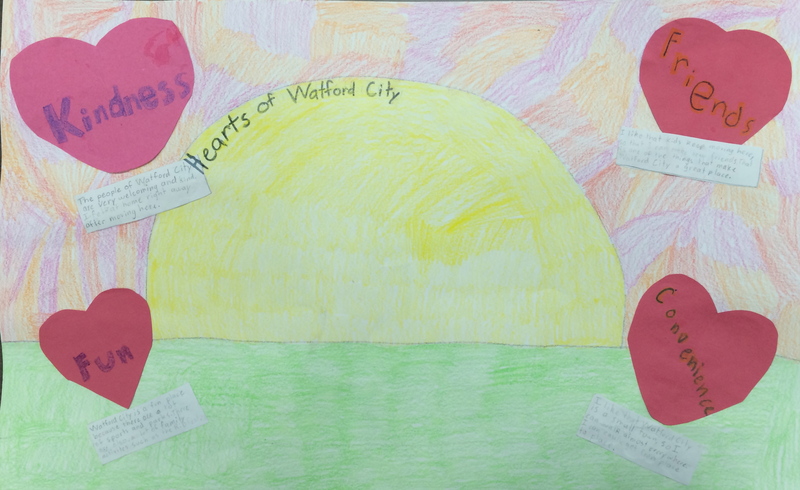 Text: What Watford City means to me is the awesome diverse people, the different stores we have that other states don’t have and the school we have with different students and teachers. That’s what Watford City means to me. There was such great perspective given from these children. Here are some of our favorites. Congratulations and great job to all of the students who participated. 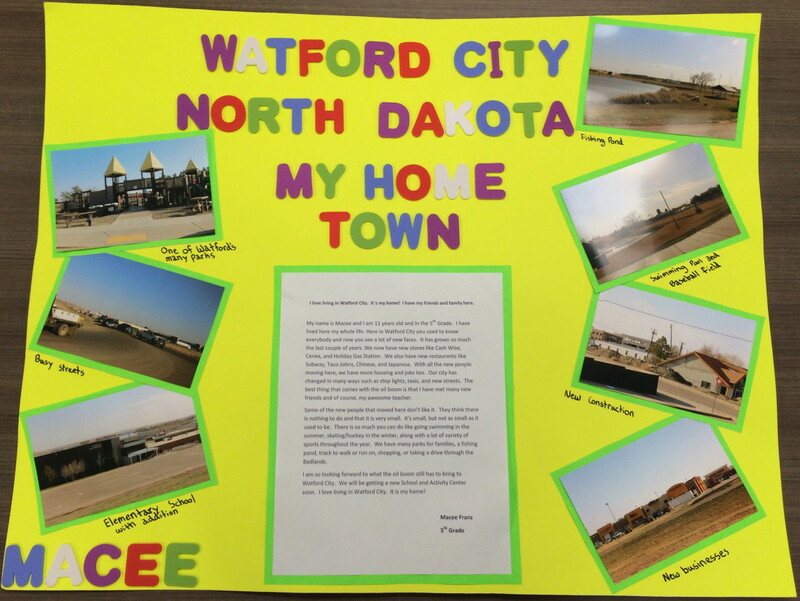 Thank you for helping to tell the story of Watford City!